PHILADELPHIA - July 20, 2016 - PRLog -- Postgreen Homes, the real estate development company located at the intersection of South Kensington and Fishtown neighborhoods of Philadelphia, have announced their next residential project, a nine unit building on the corner of York and Memphis Streets. The lot was previously consolidated into two large properties, with street addresses of 2324 and 2328 Memphis Street. Hybrid Construction, the builder on record, has built multiple Postgreen projects. Over the last five years they have gained extensive knowledge working in green construction. The property has been under construction since May of 2016 and Hybrid is currently adding exterior insulation. Postgreen Homes has an unconventional project naming strategy (i.e. Awesometown, Duplexcellence, Folsom Powerhouse, etc. ).The project names typically incorporate an aspect of the previous property before development starts. In keeping with tradition, Postgreen has dubbed this new project 'Arbor House', to honor the previous green space and large Walnut trees previously occupying the space. Chad Ludeman, President of Postgreen Homes, describes the new development: "Arbor House will offer homes as low as $280K compared to the $450K+ townhome that seems to be the norm. That allows us to further our mission of bringing quality design, construction and sustainability to an entire demographic that typically has zero new construction options (good or bad) in their price range. We're really excited about Arbor House." Jenny Sabin Studio, based out of Ithaca, NY, is working with Postgreen Homes to design the exterior. The above rendering shows what the exterior could look like. Sabin is a professor at Cornell University and principal of her studio where she is a leader in 21st century architectural practice. She has worked with Nike, the National Science Foundation and Cooper Hewitt Design Museum, and won multiple prestigious awards including the Architectural League Prize. She was also awarded a Pew Fellowship and named a USA Knight Fellow. Sabin worked previously with Postgreen to design the railings and benches at Folsom Powerhouse. Sabin describes the Arbor House facade, Light Web, as "a spatial and architectural mural materialized at the scale of the building facade. Inspired by local organic growth systems, our algorithmic design integrates phenomena of light, human engagement, and a branching system with very simple emergent patterns that operate within architectural constraints. 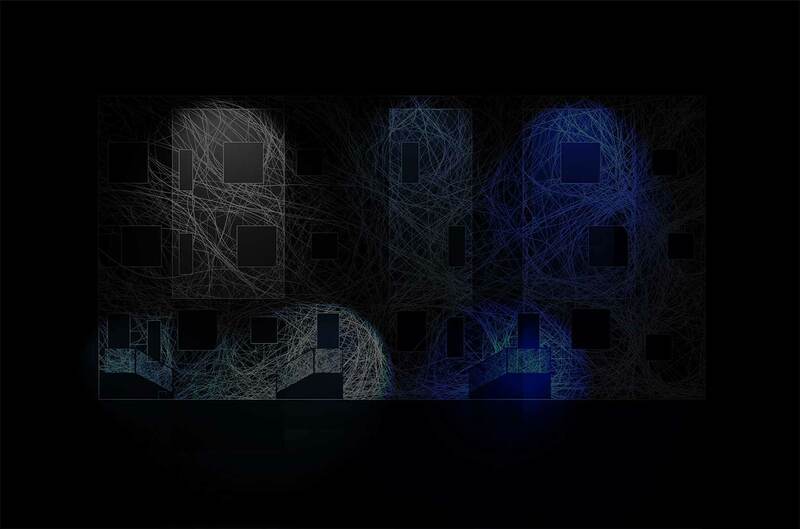 Featuring passive shading, "Light Web" undulates across the stoops, bays, and windows as laser cut steel panels, etched virock and responsive lighting offering both sustainable and functional features as well as levity and light in the neighborhood," Sabin explains. "Arbor House takes our desire to work with more talented artists to merge art and architecture into our projects to a level we've never tried before. There will be layers of vines in multiple materials enveloping the project and will no doubt be something Philly has ever seen on a building of this scale," Ludeman explains. Arbor House features nine units ranging in size from 950 - 1650 ft2. Each unit has two bedrooms and either one or two bathrooms. Four of the units will be feature backyards and three more will have roof decks. The units have triple pane windows, energy star HVAC and super insulation. Develop Philly, a leading team from Keller Williams, will be selling the four units at 2324 Memphis Street first. The remaining five units at 2328 Memphis Street will be available at a later date. Jenny Sabin Studio is an experimental architecture, design and art studio based in Ithaca, NY. The studio investigates the intersections of architecture and science, and applies insights and theories from biology and mathematics to the design, fabrication and production of material structures. They collaborate with scientists and engineers and employ architects, designers and artists. Develop Philly and the Courtney Ludeman team has long term real estate experience and vast knowledge of the industry. They are one of the leading teams at Keller Williams and make clients their number one priority.